Instead of using chemical-based makeup removers and facial toners that can be harsh and irritating, especially if you have skin sensitivities or allergies and are also expensive, why not try homemade and natural alternatives? These alternative can help you achieve the same results as store bought products, but without the drying or irritating effects and they are simple to make and eco-friendly. Here is a simple and brief guide to make your own make up remover and facial toners, that are tried and true remedies to have a healthy glowing and clean complexion. Extra virgin olive oil is great makeup remover, but not if you have oily skin as it’s comedogenic and can cause black heads, but it can be a big help in removing waterproof eye make up, as it also conditions your eyelashes. Just dab the olive oil on a cotton ball and gently wipe. Almond oil is also good solution to remove eye makeup as it is also gentle and softening and an excellent emollient that reduces irritation, inflammation and itching, while almond milk is a better choice because you can use it on your entire face. Tomato juice is also very good. Take a spoonful of tomato juice and add few drops of lemon juice to it. Apply this solution on the skin with a cotton ball and leave it on the skin for 5-10 minutes. It cleans the skin, enhances the complexion and reduces the size of pores and has bleaching agents in it, so it also clears skin color. Cucumber has cooling properties and its seeds are an excellent exfoliant. Peel a cucumber, mash it and add a bit of water and apply it on your face. Gently scrub and rinse with water. Milk or yoghurt. Simply add either ingredient onto a cotton ball and apply it to your face. Then wash it off with water to remove any residue. Chamomile tea: Boil a cup of water. Steep the chamomile tea for 20 minutes, letting it cool and it is ready to use.. Chamomile has soothing and decongestant properties and can be used every day. Green tea: Prepare a strong infusion of green tea in hot water and let it boil for a few minutes, let it cool. You can refrigerate the remaining liquid. 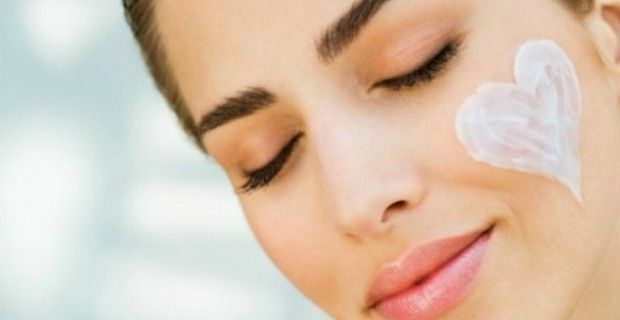 Clean your face and dip a cotton ball in the liquid and apply on your face and neck. Green tea has antiseptic and astringent qualities and purifies acne prone skin. It also has anti-aging properties and is rich in anti-oxidants and is particularly good in helping dark circles under the eyes. Apple vinegar: Take a one cup of apple cider vinegar add a cup of distilled or spring water and mix together , and voilà you have a natural facial toner that helps tighten large pores and clear up blemishes. Lemon and mint: Steep a peppermint tea bag in the boiling water for about 15 minutes. Allow the liquid to cool. Mix in 1/4 cup witch hazel and one tablespoon lemon juice and then decant. Instead of peppermint tea, you can use fresh mint leaves. Just boil a handful of mint leaves, let it cool and add a tablespoon of lemon juice. Lemon is well known for its cleaning, toning and skin tightening properties.